The only publication that reaches a multi-disciplinary group of practitioners wherever they are. If you have a lower extremity product or service that appeals to different market segments, then LER is the right publication for you! Welcome to LER, where your marketing dollar goes further. We have been helping clients grow their businesses for close to a decade and have established a leadership position that is without parallel in the market. 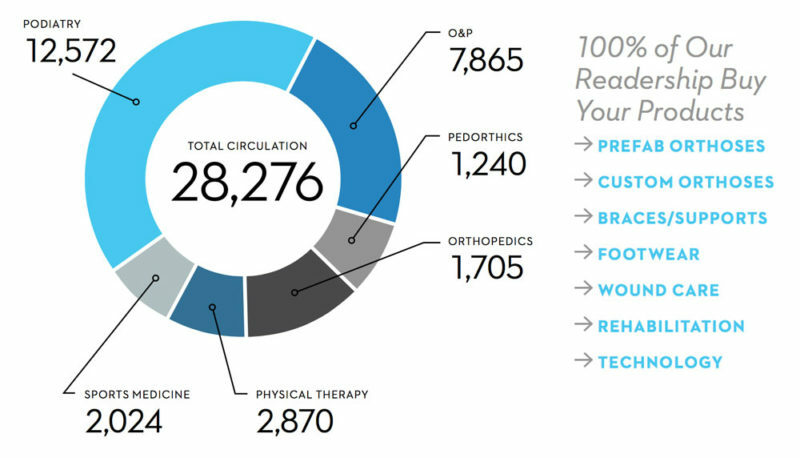 As the only multidisciplinary publication serving the lower extremity marketplace, LER gives you maximum exposure where those individual vertical specialty publications just cannot. 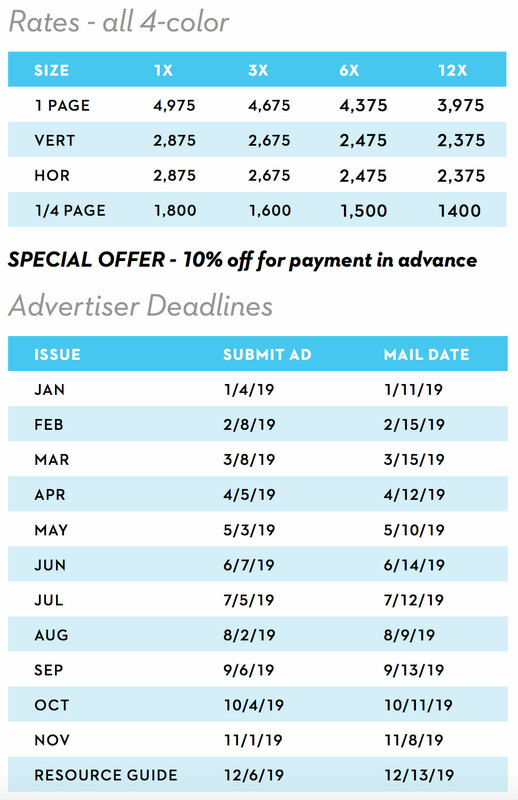 With over 40 years in the lower extremity space, the LER team understands the various intricacies in the markets, and with an evidence-based editorial approach, you can be assured that your advertising dollar is invested in the right place. Credibility is key! There is no one approach that fits every client. 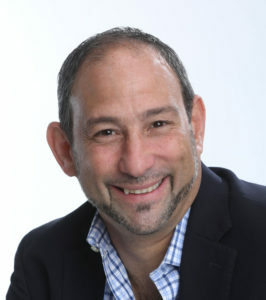 I take the time to understand your product line and business strategy to craft the most effective program that will bring you more customers and increase your bottom line. It can be any combination of print, content development, digital marketing, direct mail, public relations, or just about anything we can dream up together. This is your opportunity to see how much LER can do for you! I look forward to working with you to expand your market, strengthen your brand, and grow your sales! Lower Extremity Review is a multi-disciplinary collaboration that provides a practical approach to treating the lower extremity. LER bridges the information gap between practitioners and manufacturers with an emphasis on outcomes. We all watch in wonder as an infant navigates those first few teetering steps, standing by, cheering as one foot is placed in front of the other as this developing human body learns the act of locomotion. Indeed, the evolution of bipedal locomotion is among the most significant in human development. Learning how to walk upright is a key differentiator in the animal kingdom, but it also places unique stresses on the numerous mechanisms that make up the lower extremity, and the foot in particular—stresses that don’t easily fit into modern medicine’s siloed therapeutic areas. 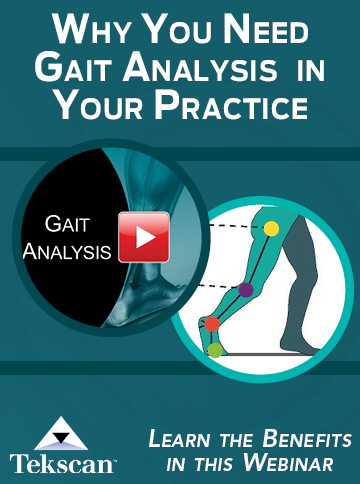 Understanding the biomechanics of how the foot operates in the environment and how its internal mechanisms relate to one another requires a multidisciplinary approach. And that is what LER pledges to bring to each issue: a multidisciplinary approach that considers all the features that make the human foot unique. Our goal every month is twofold: to provide news of import to all clinicians who treat the lower extremity and to provide an opportunity for engagement around collaborative care for better patient outcomes. Industry Snapshot: Coverage of industry developments and technological innovations. Plus photos and descriptions of new products designed especially for the lower extremity. 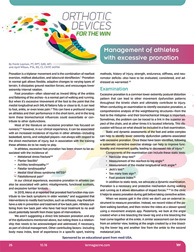 Coverage includes topics such as bracing, foot orthoses, footwear, gait analysis, rehabilitation, and sports medicine. LER generates in-depth exclusive content for a specific area of interest. Your sponsorship highlights your commitment to education and heightens your position as a market leader. Below are samples of our projects. 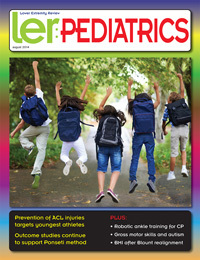 A stand-alone publication polybagged with LER, “In Step With Pediatric Hypotonia” covered diagnostic challenges, gait analysis, and orthotic management. Sponsored by an educational grant from Surestep. For five consecutive years, LER provided exclusive coverage of the Ortho Technology Forum. Sponsored by an educational grant from Delcam. The quarterly Vascular Viewpoint column focused on management of lower extremity vascular issues. Sponsored by an educational grant from Medi USA. Outserts: Include your flyer or catalog in the polybag with LER for less than the cost of postage and increase your ROI. Custom Reprints: Enhance your commitment to education and reprint any LER article with only your branding. Call for more details. List Rentals: Rent our qualified list for your direct mail efforts. Our readership will respond to your marketing message. Advertise your product(s) in this exclusive Special Education Series that will be polybagged with LER magazine. LERmagazine.com contains more than 4,000 proprietary clinical and industry related articles with new content generated monthly. This immense amount of relevant content yields a higher ranking result for search engines. Bring LER’s digital components to your marketing mix and capitalize on those quality leads. Sponsor a key word associated with your business to drive traffic back to your website. 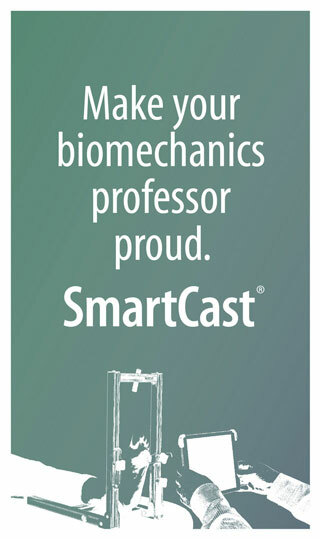 Heighten awareness of your company or product alongside relevant content with an exclusive banner ad. A – Large leaderboard ad: 920×90 $1,200/mo. B – Small leaderboard ad: 450×60 $750/mo. C – Skyscraper ad (right column): 160×600 $750/mo. 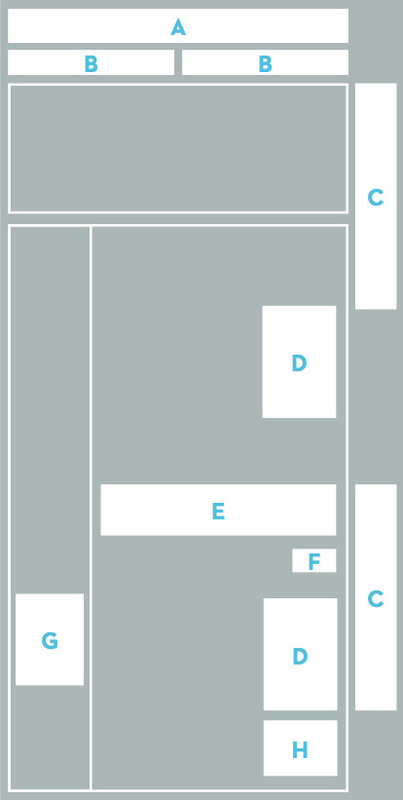 D – Large vertical banner (in page): 200×300 $650/mo. E – Sponsored ad (in page): 640×150 $850/mo. F – Hot button (in page): 20×60 $500/mo. 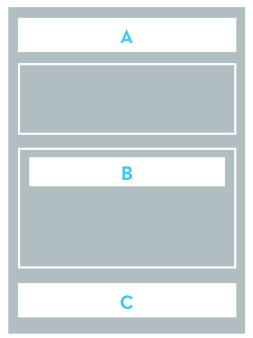 G – Vertical banner ad (left column): 180×242 $650/mo. 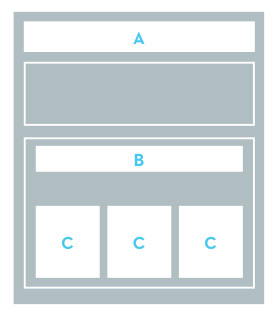 H – Small horizontal button (in page): 200×150 $550/mo. 11,952+ subscribers have chosen to receive LER content via email. Promote your product or service in this weekly e-blast. A – Large leaderboard ad: 570×78 $1,600/mo. B – Inside leaderboard ad: 550×55 $1,400/mo. C – Sponsored Product ad: 550×200 $1,500/mo. Cost is for 30 days (approximately 4 emails). LER also offers exclusive single sponsor custom e-blasts. LER’s multi-disciplinary opt-in subscriber list ensures this email is seen by its recipient and open and click through rates are high. With weekly e-blasts and limited advertisers, your ad will have high visibility. 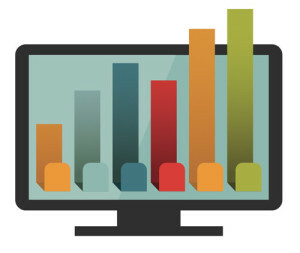 Immediate reader response tracking is available to determine ROI. Print advertising is still the #1 method of reaching today’s practitioner. 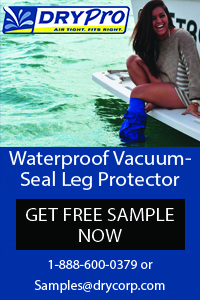 Advertise your lower extremity product to LER’s multi-disciplinary readership. With bleed: 8.625” x 11.125” NEED 0.125” bleed all around. Keep all text 0.25” from trim edge. Press-ready pdfs, Indesign, Illustrator, photoshop, Quark. All color to CMYK. 0.125” bleed if the ad bleeds. For Indesign and Quark – include all images and fonts. With 40+ years combined experience in medical marketing and publishing, we have established a full-service advertising firm to assist the needs of all clients big and small. We offer ad design and layout, photography, website development, public relations, video production and editing, social media management and much more. 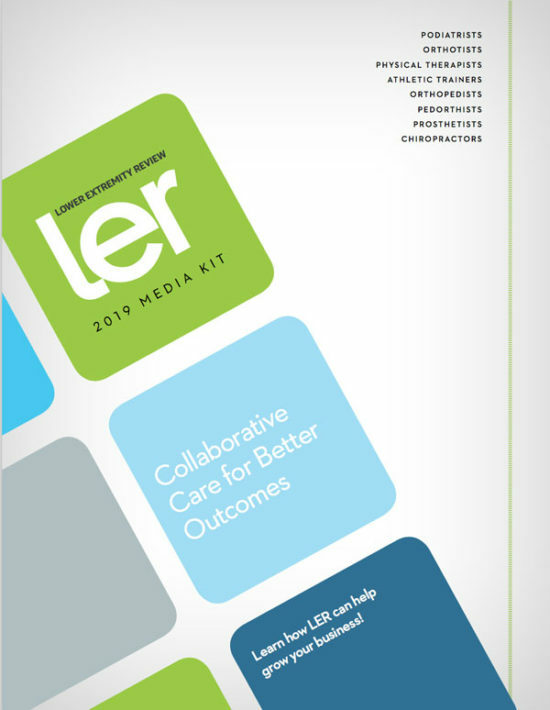 The LER Resource Guide is the most comprehensive guide to products and services in the lower extremity marketplace online and in print. It is the first choice practitioners turn to and is distributed to the entire circulation of 28,000 and at every major trade show throughout the year. Make the Resource Guide part of your 2019 marketing plan. With over 57,000 monthly LERmagazine.com visitors via mobile devices, it isn’t a surprise that the future of advertising is in mobile marketing. Because ofthe limited real estate that is inherent with this platform, LER will limit its on-page advertising space to focus on content. That means that this precious space is of great value to you as an advertiser. The site features responsive technology, which means your mobile ads will resize based on the user’s screen resolution. A – Top leaderboard ad: 570×78 $1,600/mo. C – Bottom leaderboard ad: 550×200 $1,500/mo. The LER editorial team attends many tradeshows. To enhance your commitment to education, we now offer exclusive custom content from the presentations and workshops of your choice from the event. Marketing support will include: daily custom eblasts, tweets, posts, with embedded links and sponsor branding. Call for pricing and to schedule your event coverage!